Opening day is three weeks away and with that I thought about a couple of things I liked this spring for the Mets. The Mets are hitting well during Spring Training and have a 9-9 record. With the WBC the Mets are missing some key players and have to play guys like Tebow, Biondi and Mazzilli as well as others. These five things I will write about are all things I think will impact the Mets big league squad. As many know I’m a Minor League Guru so I will also add five good point about 2017 minor league players, who made an appereance in this spring. 1. Josh Smoker’s improved breaking ball. I already wrote about him in the #MetsCrushMonday piece here on Mets Junkies. I really like what I saw from Smoker so far. He told reporters and showed he is working on a better slider to the lefties and he made strides with that pitch IMO. If he adds a good slider he will fair a lot better against the lefties on the ML level. 2. TdA has hit the ball really well so far. I know a lot are down on TdA but I see a major difference in his swing. Without the loop in his swing, his swing is a lot shorter and he is hitting the ball hard consistently, line drives and not ground balls. I know TdA also had a lot of work to do on his throwing and I haven’t seen him throw a lot this spring. That still worries me a bit until I’ve seen his throwing improve. I still like what I have seen from Travis with the bat so far, I find it encouraging which to some and maybe most, is not the popular opinion. 3. Walker’s back looks good. When the Mets and Walker talked about an extension during the offseason I was skeptical. I like Walker a lot but returning to the team fresh from back surgery makes me wonder how well will he hold up. This spring Walker has showed his back isn’t bothering him at the moment. I like how quick he was inside on a couple of pitches and I don’t see any problems at the moment. Great sign for the Mets. 4. deGrom is back to throwing hard as he reached 97 on his fastball multiple times. He looks healthy and dominant. After Syndergaard, I see deGrom as our number two guy and seeing him much like he pitched during the 2015 season, which makes me smile. If healthy, he is a top tier starter in all the MLB. 5. Ofcourse I didn’t forget Cespedes, who’s raking at the very moment. He has been hitting the ball hard multiple times and his homeruns are bombs. No need to worry about Cespedes’ work ethic after signing a four year deal. He wants to win a ring with the Mets. These 5 point are in random order. Now I’m heading to my personal love the Mets minor Leagues. Spring training for me is a lot of fun. Not that I take spring stats serious but because I can watch Mets minor leaguers play against actual MLB talent. Most players that we have seen, I’ve had the privelegde to watch on MiLB.com but there are some players I’m seeing for the first time. Here are my positives I have seen so far. 1. Luis Guillorme has flashed his defensive skills. He did it with the glove, making some smooth plays in the field. He also played a game at third, for the first time in his career and he looked so sure handed at that position as well. 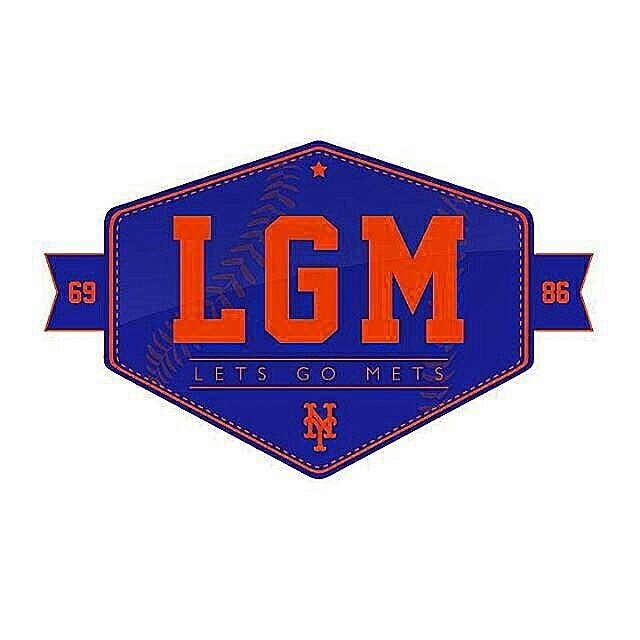 We have seen what he can do in the field and in the dugout as well as he saved Nimmo and others with a barehanded catch of a baseball bat as it was flying towards the Mets dugout. With the bat he did it as well. Guillorme has just one MiLB homerun in his professional career, it came last year in St. Lucie, but he added another one to the list this Spring training. It was an opposite field 3 run shot. I knew Guillorme and loved seeing him play. That’s still the case after this spring. 2. Philip Evans is having himself a great spring. Not only with the bat but also with the glove. Evans is not a big man but, is built up of muscle and is a strong kid. He has showed power, ability to hit for average and slick fielding. An all around great camp for Evans who put himself on the map for a lot of Mets fans this spring after a breakout 2016 season where he won the Eastern League Batting title. 3. Corey Taylor has looked good in a (kind off) closing role for the Mets. Taylor hasn’t pitched above High-A but did impress scouts in the AFL. Taylor throws a heavy sinking FB that he relies on for out in clutch spot. I had the priveledge to see him close out a game when I visited St. Lucie and his fastball-slider combo is impressive to say the least. He is definitely a break out canididate for me and we could see him pitch in the Mets bullpen this season. 4. Paul Sewald has a legit shot to make the opening day bullpen in my opinion. Some know that I’m a huge Sewald fan and he has done nothing but performed this spring yet again. The T.J. Rivera of the bullpen guys. Sewald isn’t overpowering but, uses a great slider to get Hitters out. He struck out 80 in 65.2 innings pitched in a very Hitters friendly league in the PCL in 2016. He closed out 19 games with a 3.29 ERA. His Minor League career ERA is a minuscule 2.20 which is obviously very impresive and he deserves a shot at the major league level. 5. Former first rounders that are currently impressing me: Rosario, Nimmo, Cecchini and Smith will all likely start at the Triple-A Level in 2017 and how good did they look so far in Spring (WBC)? All have hit and played the field very well. The position prospects are rising through the minors and are almost there. How fun is that. Future looks bright. 6. Montero has looked really sharp so far. Although I’m still skeptical, I think his control looks really sharp so far this spring. His slider and FB are back on the corners and he’s not walking that many. Will he return to old form when he was a top prospect and be a succesfull MLB pitcher? That still remains to be seen. After these 11 positive point, I want to share that how great it is to see guys like Ali Sanchez, Andres Gimenez, Colby Woodmansee among others, playing games amongst the big league players, it’s so cool to see.